Tuesday was a day of celebration for hundreds of soon-to-be graduates in the Salem-Keizer School District, along with thousands across the country. April 28 was National College Signing Day, part of Michelle Obama’s Better Make Room campaign — a public awareness campaign targeted at Generation Z, young people ages 14-19. McKay High School in Salem held the first National Signing Day event in the district last year. This year, more than 200 students at McKay participated. The commons at McKay were filled with students and their support teams — families, friends, teachers and other school staff. 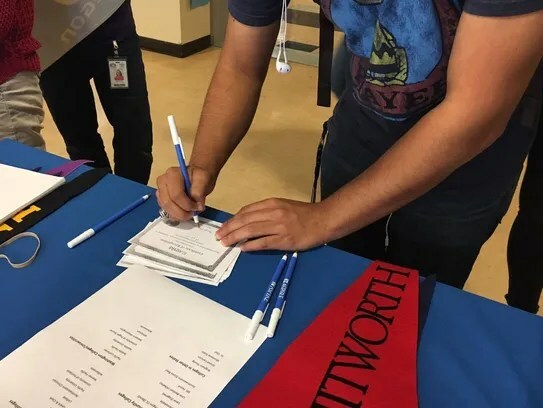 The event recognized all students as they start the next chapter of their lives, whether that means going to college, joining the military or going on volunteer missions. Joe Herrera, 18, and Isabel Morales, 19, are seniors at McKay. After graduation, they will both attend Western Oregon University in Monmouth. Morales wants to study exercise science to become a physical therapist. Herrera is going into the teaching program partnership between Western and the Salem-Keizer School District. The district will pay for his schooling at Western, after which he will come back to the district to teach. He said he wants to teach algebra. Herrera and Morales said they both thought the event was cool and they didn’t know it would happen for them. 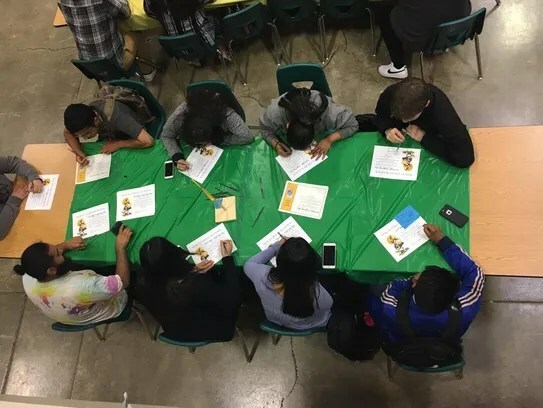 South Salem High School also participated, hosting a table during the lunch hours where students could sign a small certificate to be posted on a wall near the entrance of the school. Students could also pose for pictures with pendants from their future school, if applicable. This was the first year South held the event, but organizers said they would like to make it an annual thing.